The ‘London Summit of Leaders Achievements Forum 2018′ was held on 17th April 2018 at the Institute of Directors(IOD), 116 Pall Mall Street, London,UK. 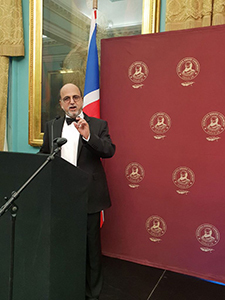 At the day function Doha Bank CEO Dr. R. Seetharaman showcased Qatar’s sustainability and resilience to European Business Assembly. It was also attended by key British and world expert’s members of the Oxford Speakers Bureau and Academic Union professors.